Over Easter I was so lucky to have my family come to stay with me. Every time I see my them it takes me back to all of the memories I have baking with them in the kitchen. Starting back as a child standing on a chair peering over the bowl of the Kitchen Aid mixer, and more recently rolling out pie crust with my Dad and my sister as she teaches me how to make a proper lattice weave. Did I mention she is 14? 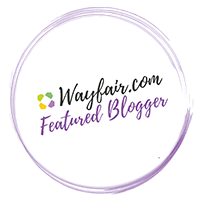 I need to enlist her on the blog more often! 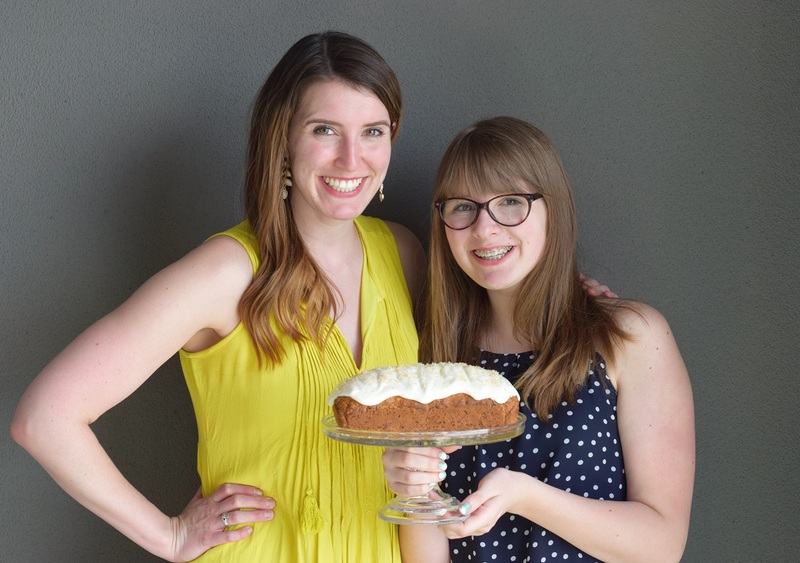 We decided we needed dessert for Easter Sunday, and what is more festive for Easter than a carrot cake? 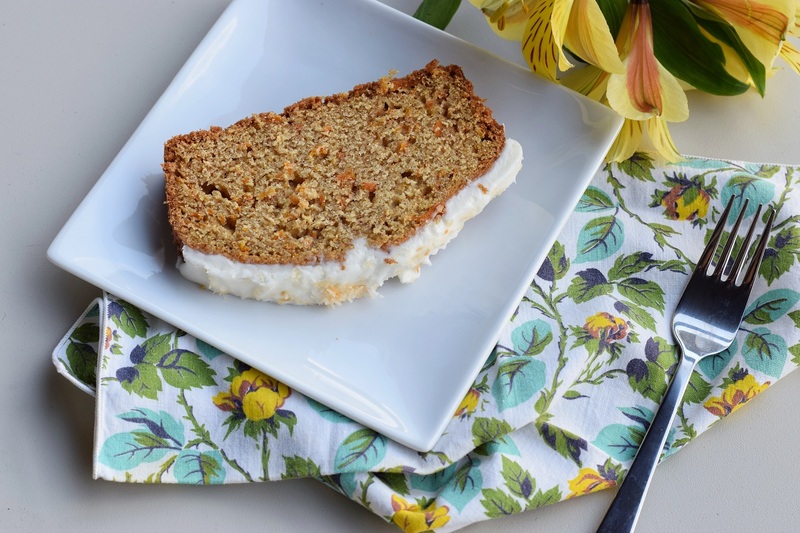 I spied a loaf pan carrot cake recipe on Joy the Baker‘s Instagram the week before and I was enticed with the idea that it would probably make just enough for my family without leaving me with pounds of leftover cake for the week to eat alone. The recipe included brown butter as well, which we all know I have been fully obsessed with after making this rice crispy treat recipe about a month ago. My sister and I got to work on the recipe, me taking on the dry ingredients and the butter browning, and her grating up carrots and generally doing all of the harder tasks. (I told you she was more talented that I was.) Instead of using normal carrots, we worked on using up baby carrots because we had those in the house already. We also added quite a bit more brown butter. The dough of this cake was looking far too bread like and not cake batter-y enough for us. When it came to the frosting, we also added more of the solid stuff and less of the liquid as it was looking too thin to stay perched on top of the rounded load cake. In the end we really loved this little cake. 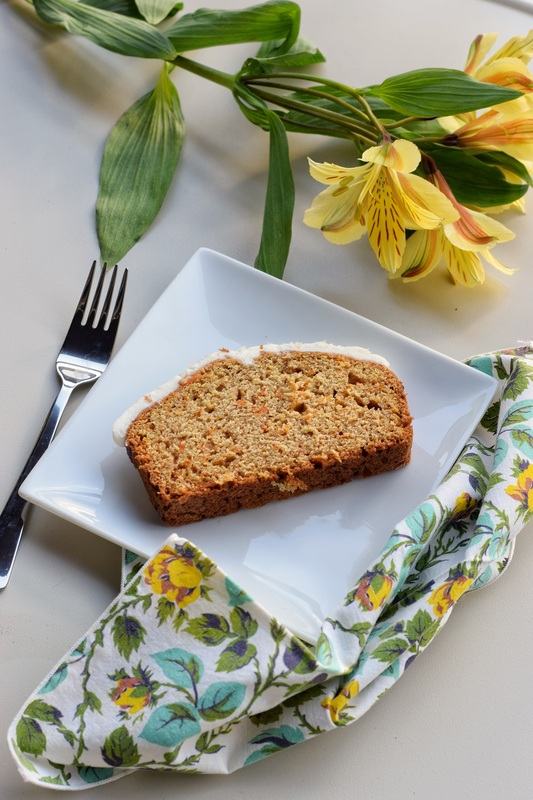 The flavor was very spiced in the best way possible, and had a lovely quick-bread type feel. The frosting was really the winner, and we topped our cake with a little bit of toasted coconut since I didn’t have any nuts to add texture there. 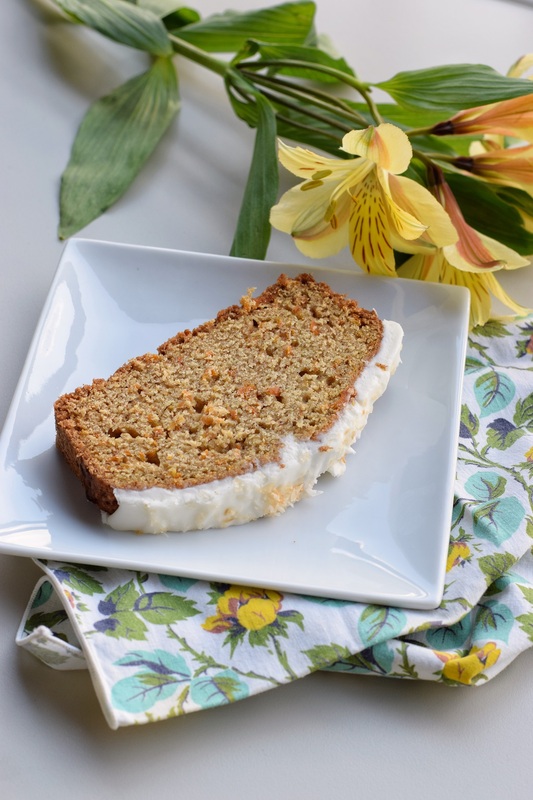 Take a look at how we altered the recipe to make it our own! 1. 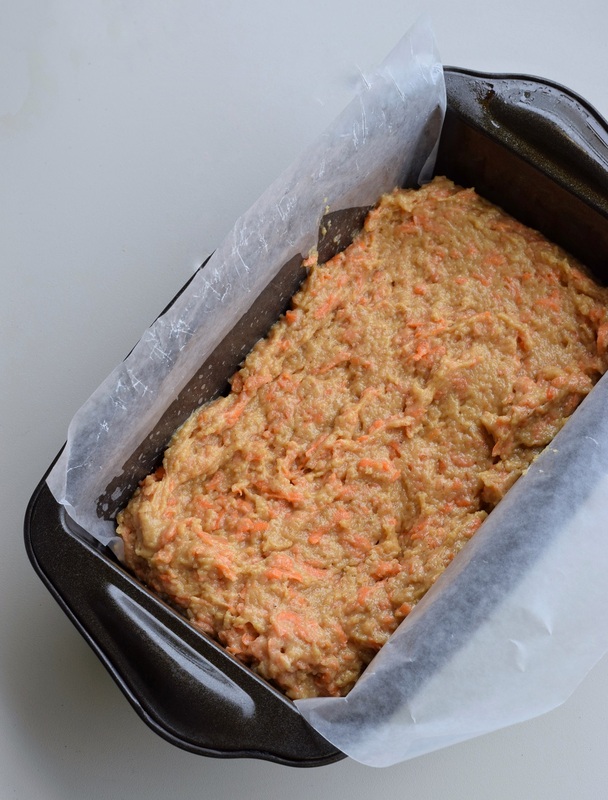 Preheat the oven to 350 degrees F. Grease and flour a 9×5-inch loaf pan and set aside. 2. Melt butter in a saucepan over medium heat. Butter will begin to foam and then brown. Once it is brown and begins to smell nutty, remove the pan from the heat and transfer the butter to a small bowl. Set aside to cool. 3. In a large bowl, mix together flour, sugar, baking soda, salt, cinnamon, ginger, and nutmeg. 4. In a medium bowl, mix together eggs, vanilla, and buttermilk. Add in the grated carrots. Once the butter has cooled, stir that in as well. 5. Incorporate the wet ingredients in to the dry ingredients. Stir to combine, but try not to over mix. Pour batter into the prepared pan and bake for 45 minutes, or until a toothpick inserted into the middle of the cake comes out clean. Remove the cake from the oven and cool completely on a wire rack. 6. 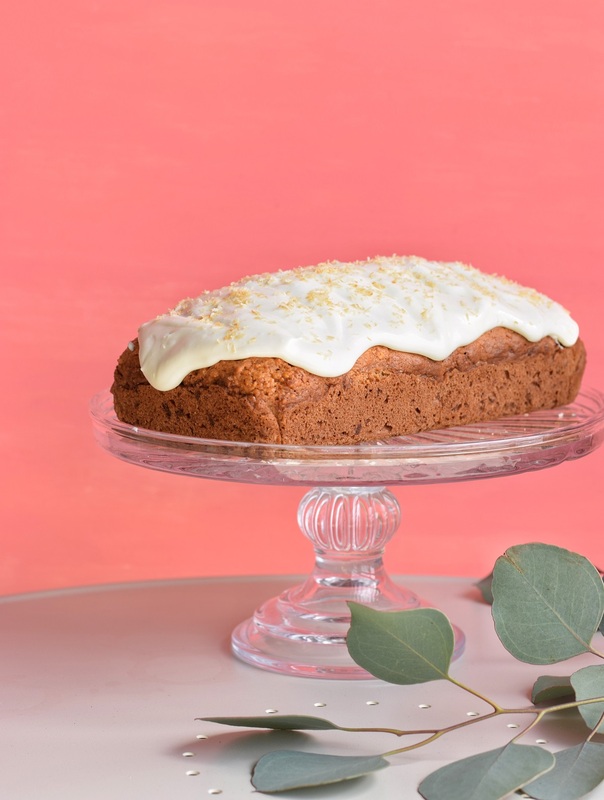 While the cake cools, make the frosting by mixing together the cream cheese and butter until fluffy. Add in the sugar, salt, and milk. The frosting should hold on to the scraper when scooped out of the bowl. 7. 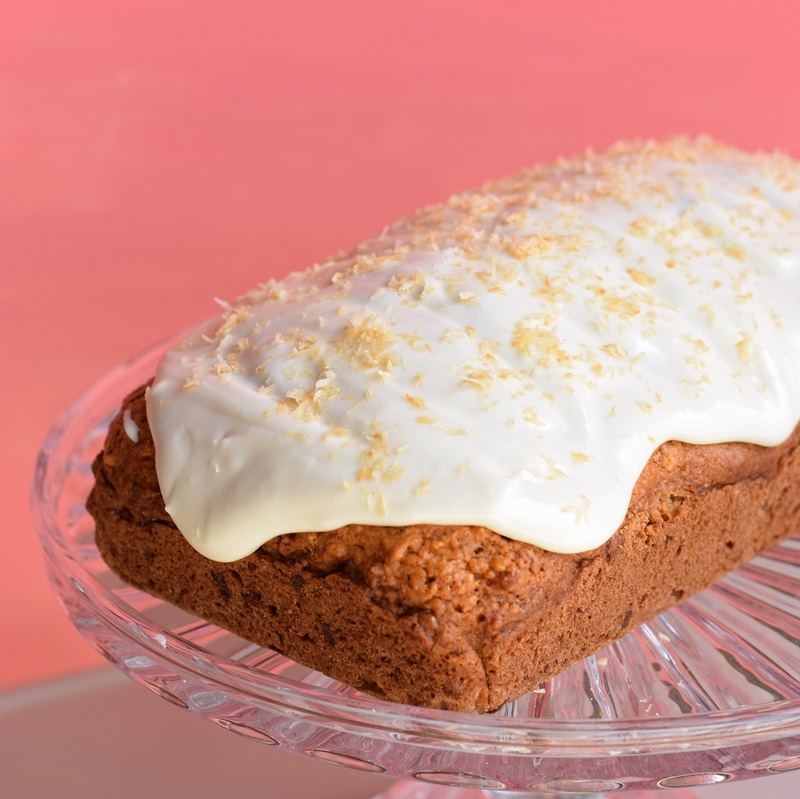 Once the cake is completely cool, spoon the frosting over the top and then sprinkle with toasted coconut. Awesome! I don’t like carrot cake but that looks delicious! Awesome!! I’m so glad you liked it! I was really into it as well, and the more frosting the better! Thank you! Did you make it? Haha it’s quite the blessing!! Nice work, girls! The cake flavor was very good, but I could have made a meal out of the frosting – yum! Haha I agree! That frosting was the best. I loved the spices in the cake.